This paper explores the entrepreneurial experience (and spirit) of politicians. To what extent have they been involved in entrepreneurial activities? Are politicians more or less entrepreneurial than their voters? 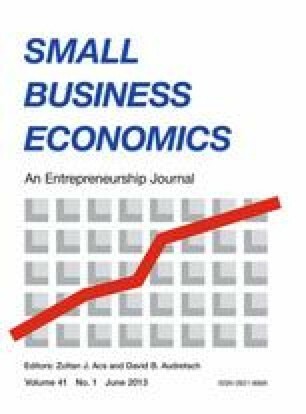 Are entrepreneurship policies more or less important to politicians compared to the voters they represent? The Members of the Swedish Parliament were asked the same questions regarding their entrepreneurial activities as found in the Global Entrepreneurship Monitor (GEM). The empirical results indicate that when we analyse the statistical significance of the differences and control for individual characteristics, politicians have similar experiences and ambitions to the rest of the population when it comes to entrepreneurial activities. Politicians have a high potential for becoming entrepreneurs in the future, but seem to be less optimistic about how entrepreneurs are perceived in the cultural context. In addition, there is a substantial discrepancy between how politicians and voters perceive the ease of starting and running a business. Unlike politicians, voters do not agree that it is easy to start and run a business in Sweden. The author would like to thank the participants at the Ratio workshop and two anonymous referees for valuable comments on a previous version of the paper. I would also like to thank Camilla Sandberg for her excellent research assistance. The author is grateful to the Swedish GEM team, which facilitated the use of GEM data. Financial support from the Söderberg Research Foundation is gratefully acknowledged. Ministry of Enterprise. (2011). Näringspolitikens mål. Available at: www.sweden.gov.se/sb/d/5709/a/17240.